Eight-year-old Filikesa Kamotu feels he has accomplished one of his tasks in his list after visiting Parliament for the first time today. 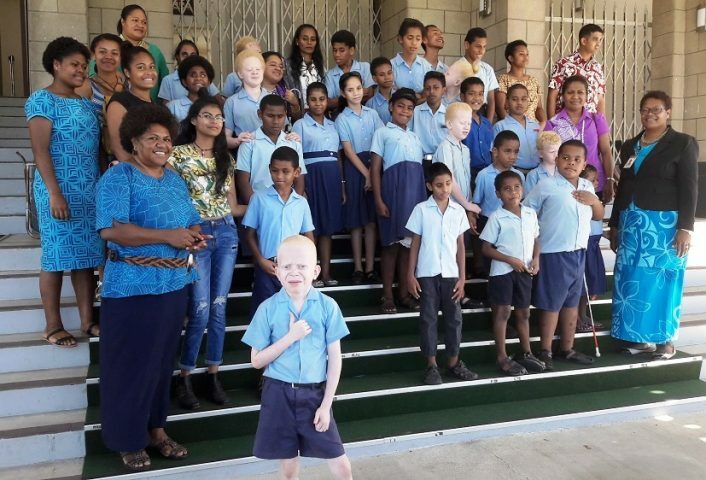 The Year-3 student of Fiji School of the Blind in Suva had always wanted to visit the respected institution and today, he was on cloud nine when he was among 30 other colleagues who toured Parliament to learn more about its roles and functions. He said it was a proud moment for him to have witnessed first-hand what Parliament was really all about. Speaking in the iTaukei language, Filikesa said they were all so privileged to be part of the visit, adding they were thankful to the Parliament staff for giving them such opportunity. Even though we are living with some sort of disability, he said they felt like normal children learning many new things about Parliament. Filikesa thanked the staff for their warmth reception and facilitation. students to study hard and become successful people in life. Hon. Sudhakar said disability should not be a barrier to achieving greater heights, urging the students to also think of becoming Parliamentarians some day. School Teacher Sofia Waqanidrola said the tour was being treated as a day’s activity for the students.